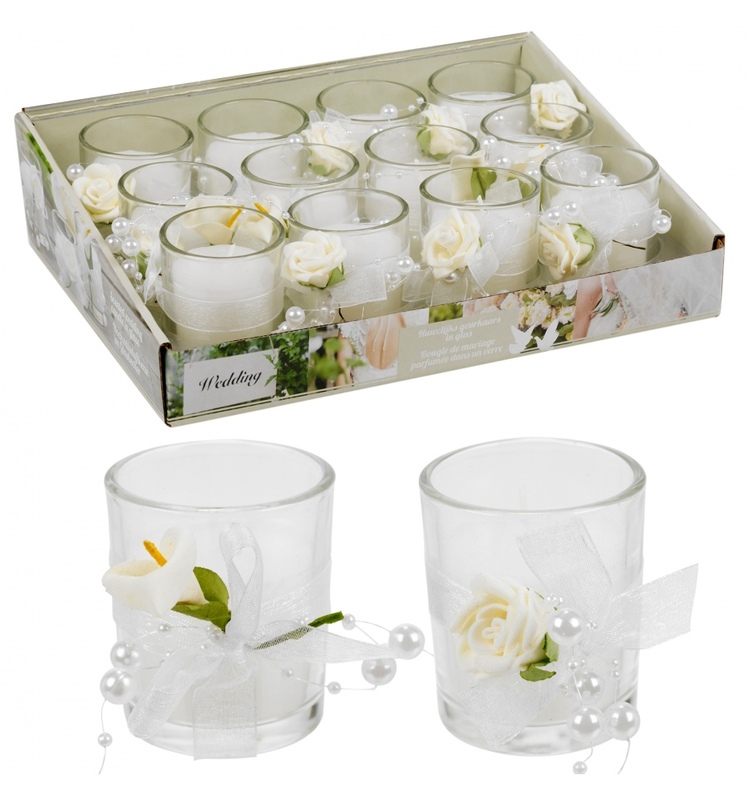 These scented wedding candles available as sets of 12 with a cute ribbon decoration will enhance any celebratory event. These scented wedding candles available as sets of 12 with a cute ribbon decoration will enhance any celebratory event. Especially your wedding table to top off a centrepiece combination, or on its own in a round glass vase etc. They can also be used at home with its white rose attached with shiny ribbon and wired decoration it will surely supplement any positive occasion.